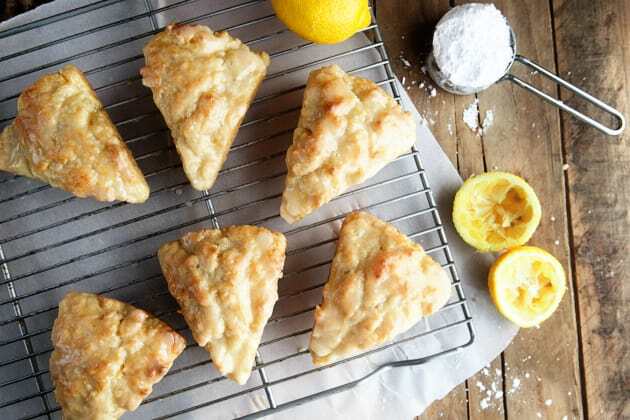 When I think of brunch, Mother’s Day or otherwise, I always think of scones. cream scones, tender and lightly sweet, are the best part of any brunch. 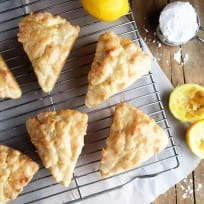 I am counting on these lemon cream scones, with fresh flavorful lemon zest, to brighten up my Mother’s Day this year! Though I have never hosted a Mother’s Day brunch before, I volunteered for the job this year. I am looking forward to feasting with my own mother and a few friends next weekend. I don’t mind being the one to do the cooking because honestly, the kitchen is where I feel most comfortable these days. 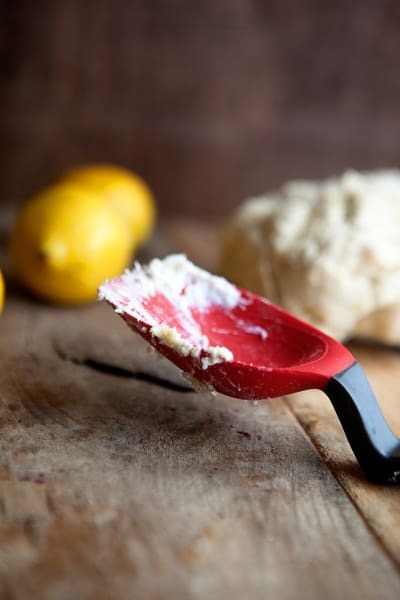 The promise of a sweet lemon cream scone is enough to get me tying my apron strings and pulling out the baking supplies. 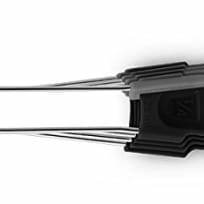 To simplify my time in the kitchen, I’m using Dreamfarm tools as I prepare for Mother’s Day brunch this year. 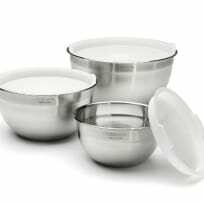 The Supoon, one of my all time favorite kitchen tools, does triple duty as I use it to scrape down the bowl, scoop up the dough, and measure out my ingredients. Not only does it cut down the number of kitchen gadgets I need to mix up the scones, it helps me keep my kitchen counters clean while I work. 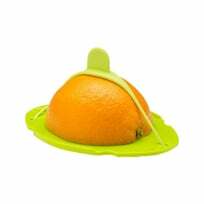 It’s the scraping spoon that can sit up! I love it! 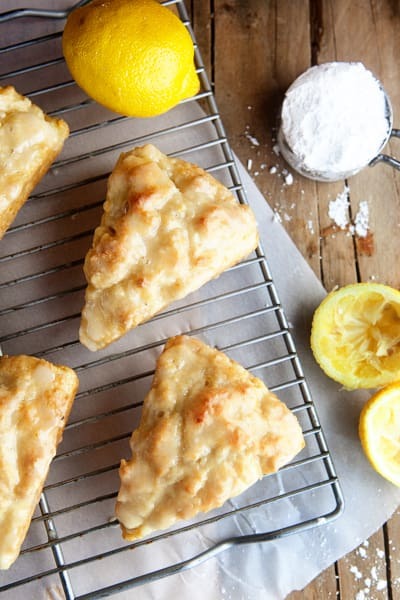 These lemon cream scones get all their bright zesty flavor from fresh lemons. 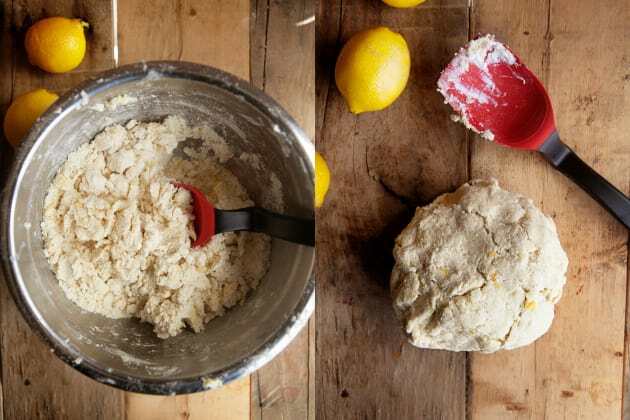 Lemon zest added into the sugar creates a subtle yet tasty lemon undertone in the scone. To make sure that the lemon really gets noticed, however, I also added freshly squeezed lemon juice into the glaze. I measured it out with my Supoon and then used the Supoon to mix it all together too. 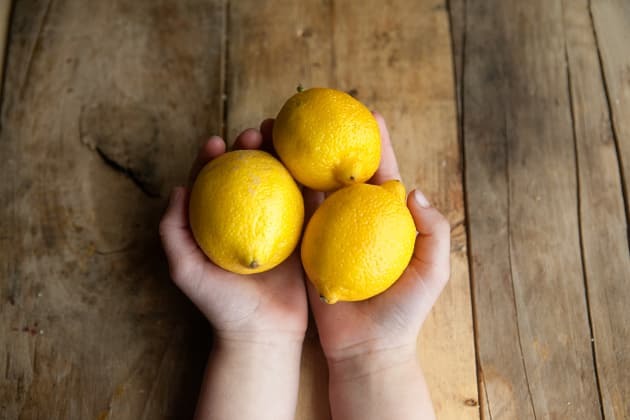 You can also save the left over lemon halves for another recipe with the handy Savel, which keeps the cut lemon half fresh and juicy. When all the work is done next week and the kitchen is quickly cleaned, I’ll be sitting with my mother and eating lemon cream scones. I can’t think of a more perfect way to spend a Sunday or anyone I’d rather spend it with! In a medium bowl, combine sugar and lemon zest. Using your fingertips, mix together. 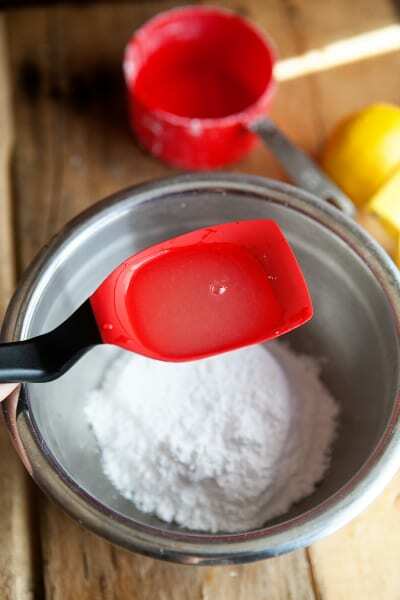 Stir in flour, baking powder, baking soda, and salt. Using largest holes on a box grater, grate frozen butter. Add to flour mixture and mix until it resembles coarse meal. In a small bowl, combine egg and cream and mix well. Pour into flour mixture. Mix well, scraping down the sides of the bowl. Scrape dough out onto a lightly floured surface. Using hands, shape dough into a ball, making sure to fold in all the loose clumps. 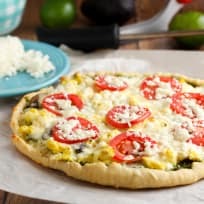 Shape into a 7 inch circle, approximately 3/4 inch thick, and cut into 8 equal pieces. 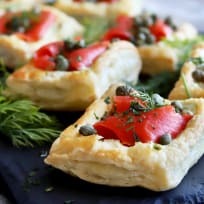 With space between each triangle, place on a parchment covered baking sheet. 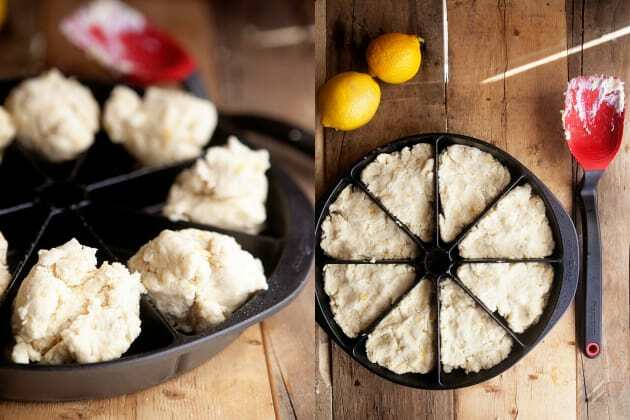 (Alternatively, you can use a scone pan) Bake for approximately 15 minutes, or until golden. 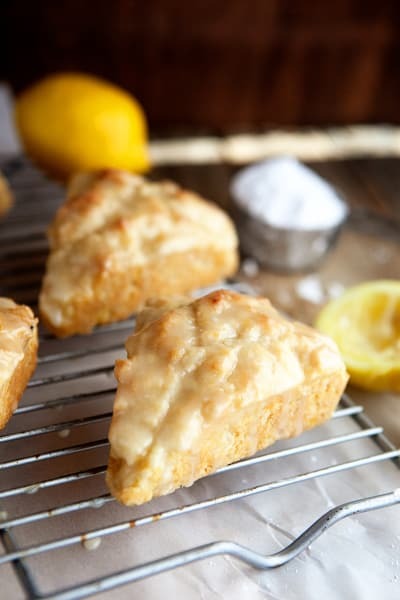 Allow scones to cool and prepare glaze. 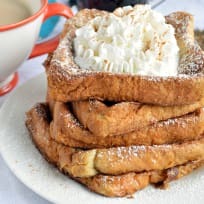 In a small bowl, combine all of the glaze ingredients and whisk until smooth. Drizzle glaze over cooled scones and allow glaze to harden.